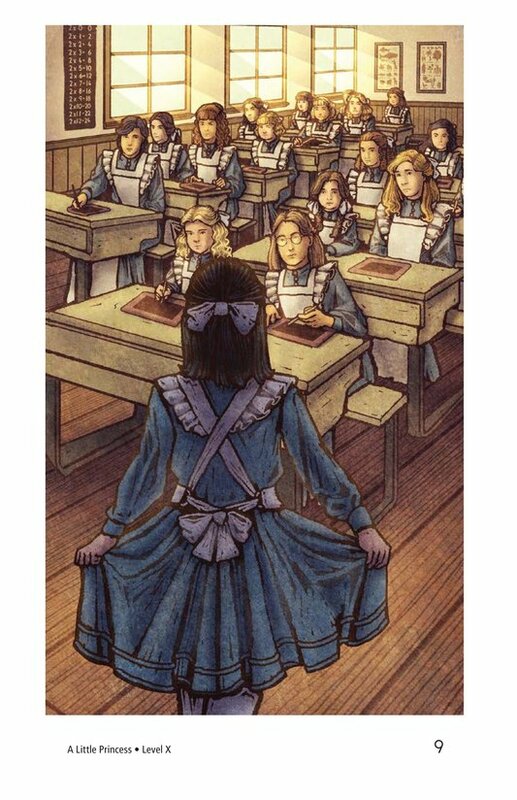 When Sara enters the classroom on the first day of school, her new classmates whisper about their exotic new classmate. 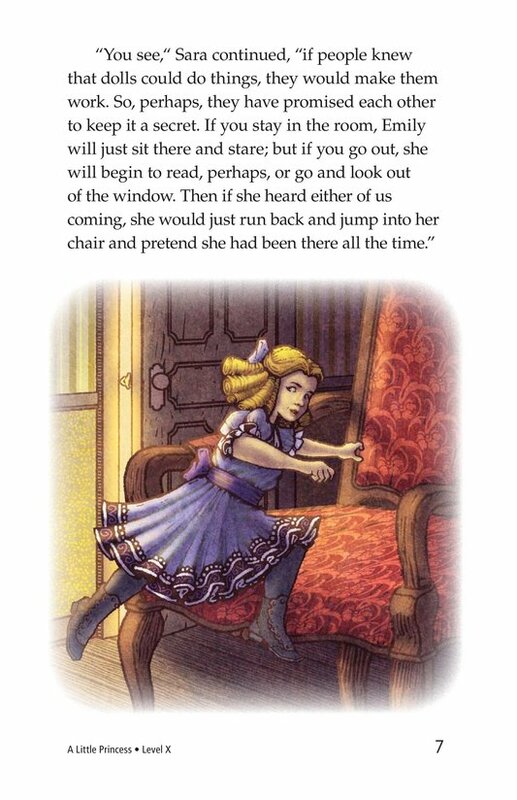 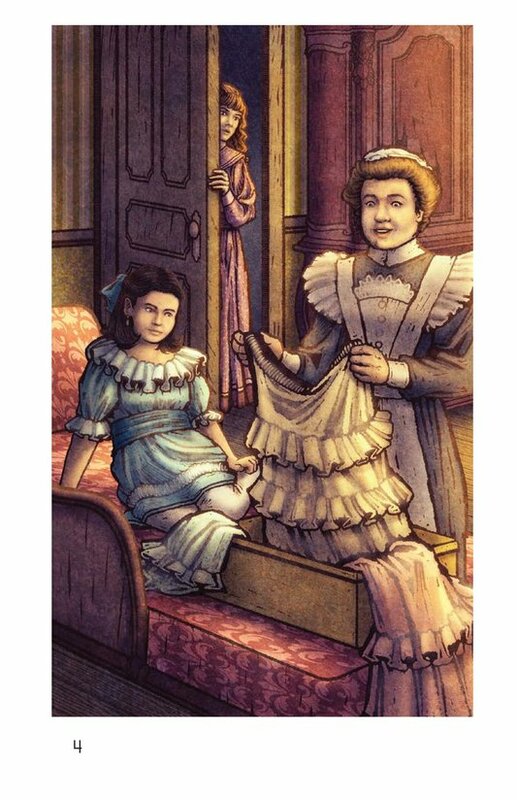 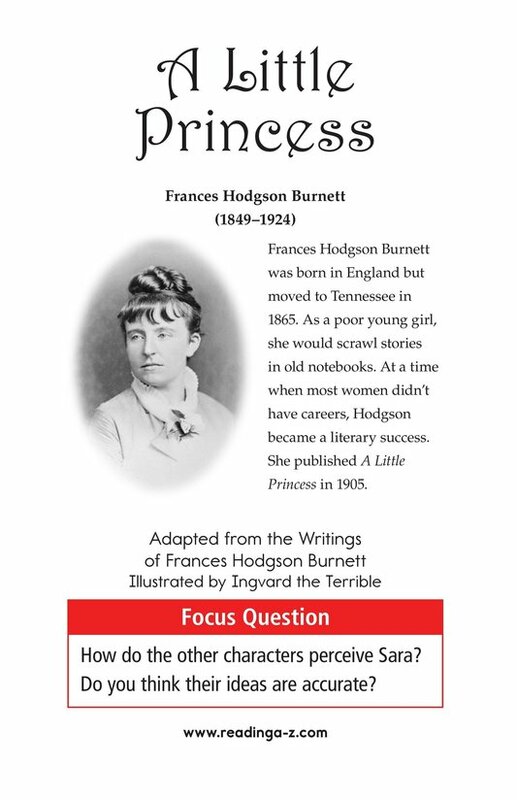 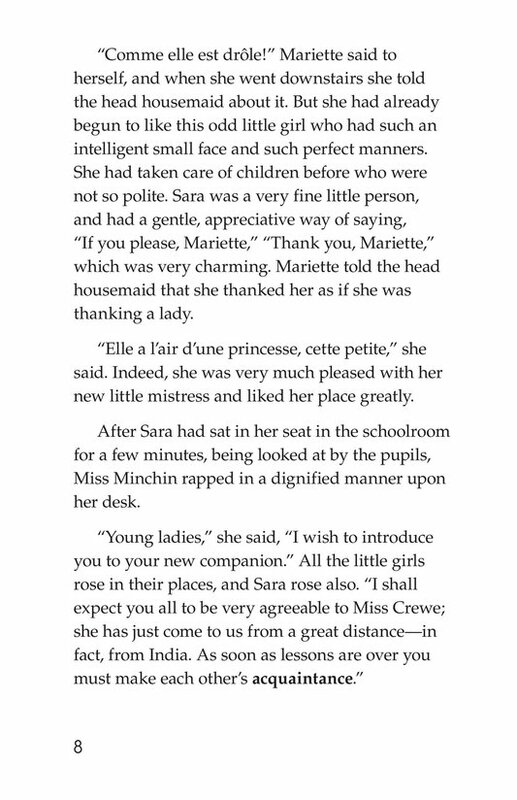 Sara's beautiful clothing, her fancy living quarters and her French maid have caused a lot of jealousy among some of the other girls, particularly pretty, bossy Lavinia. 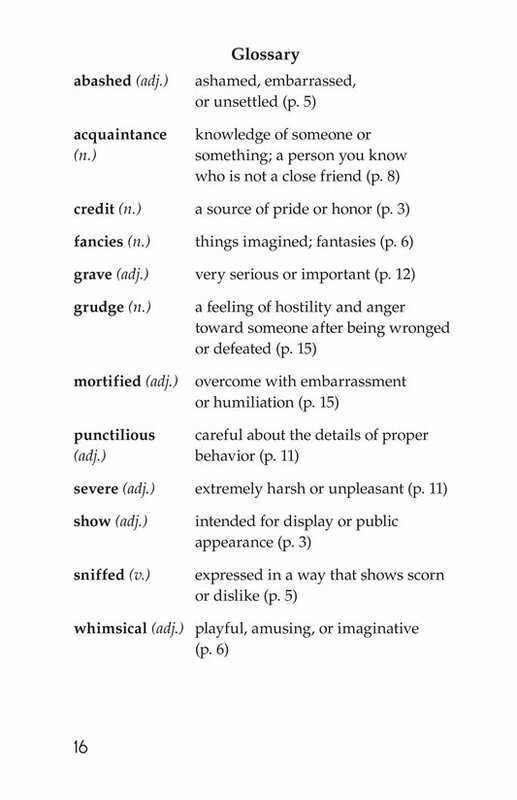 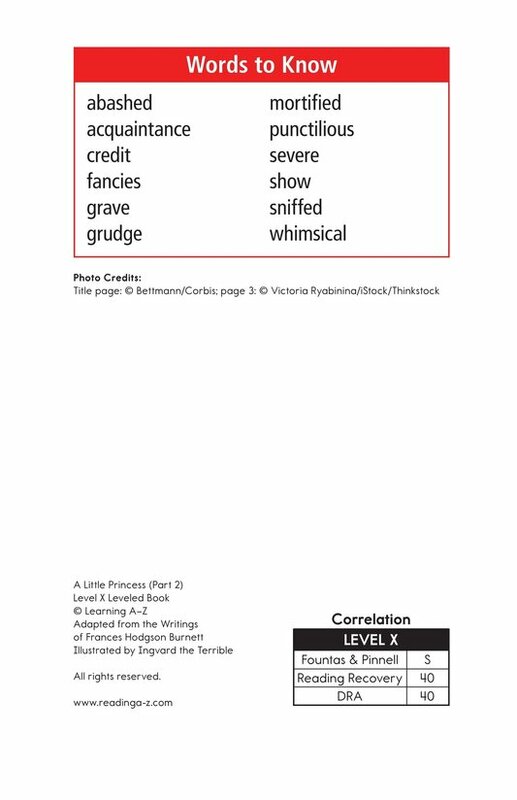 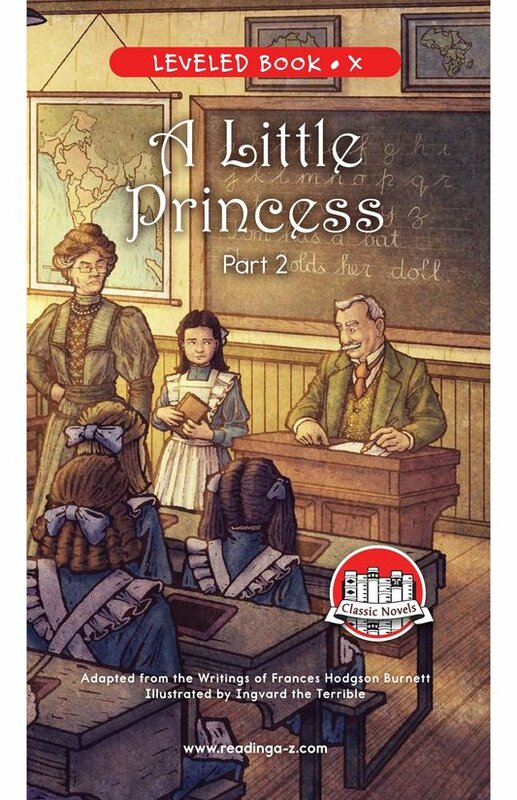 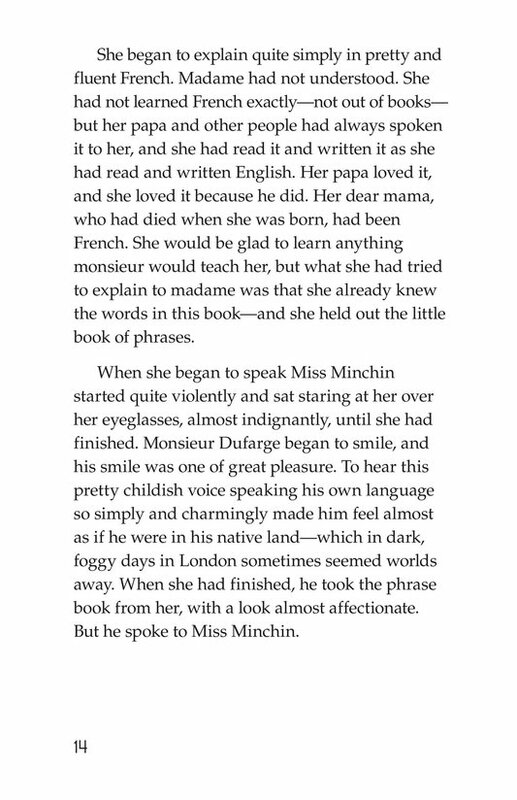 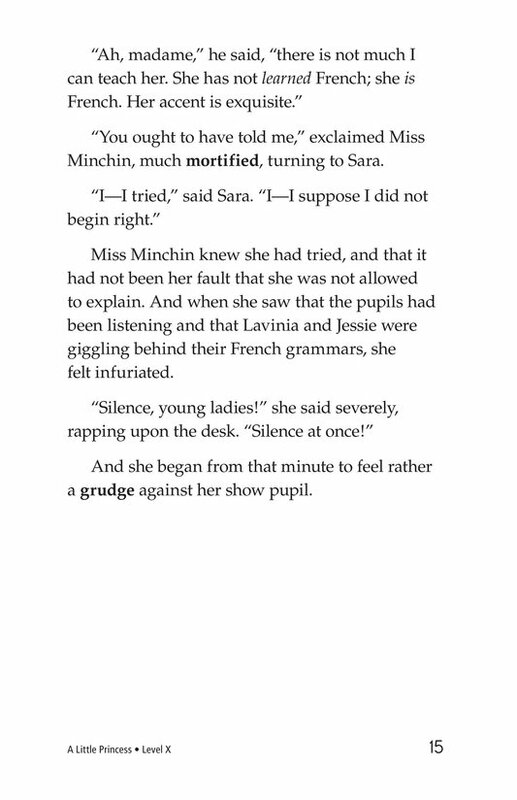 When Miss Minchin discovers that little Sara speaks perfect, fluent French, something Miss Minchin never learned to do, she is infuriated. 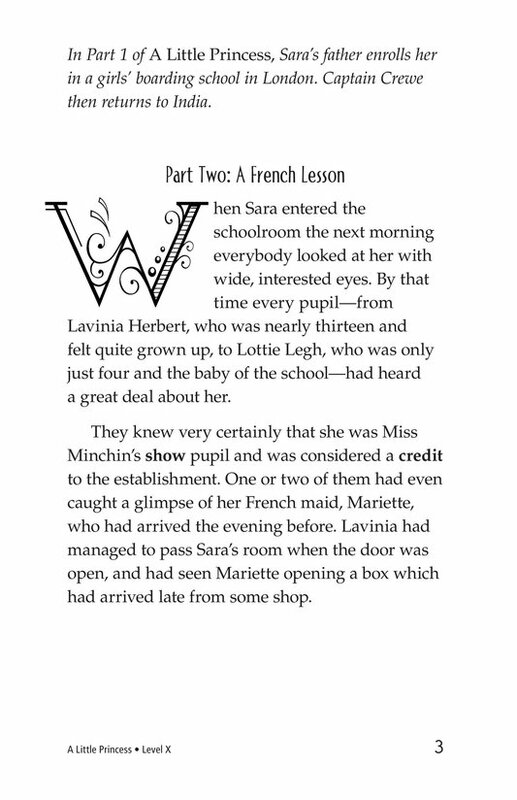 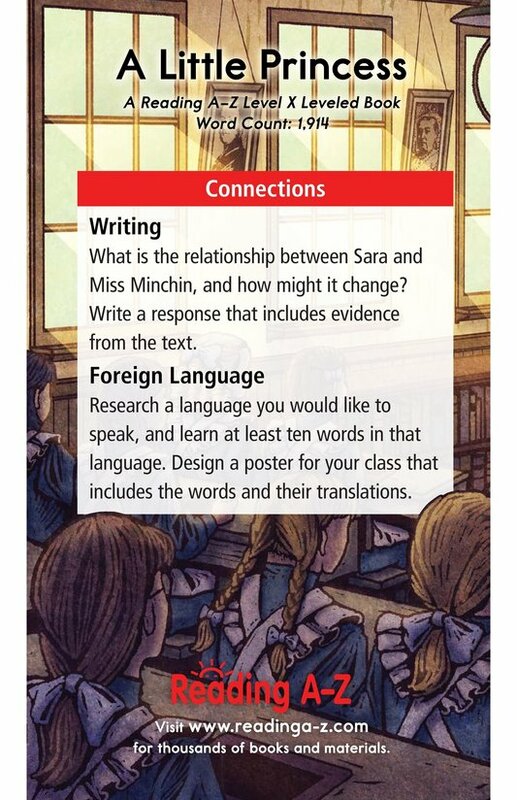 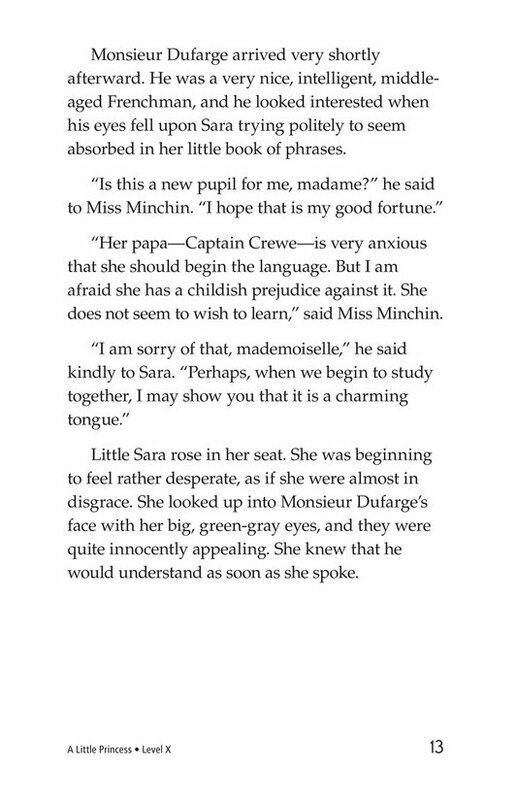 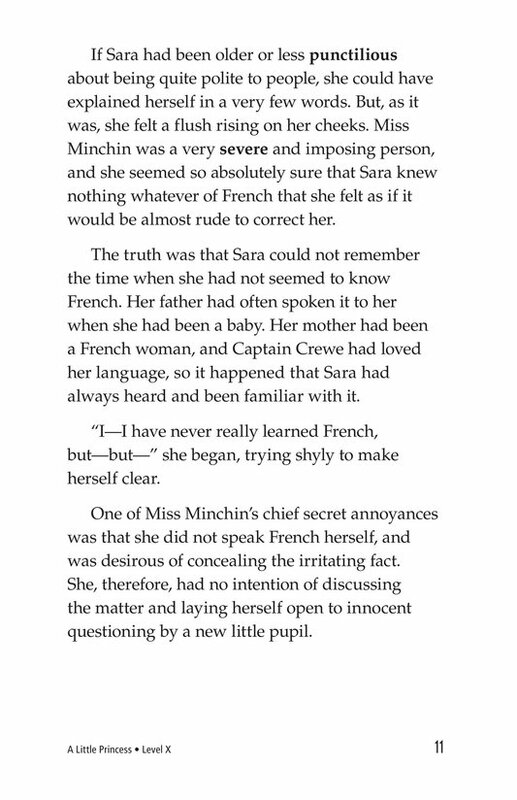 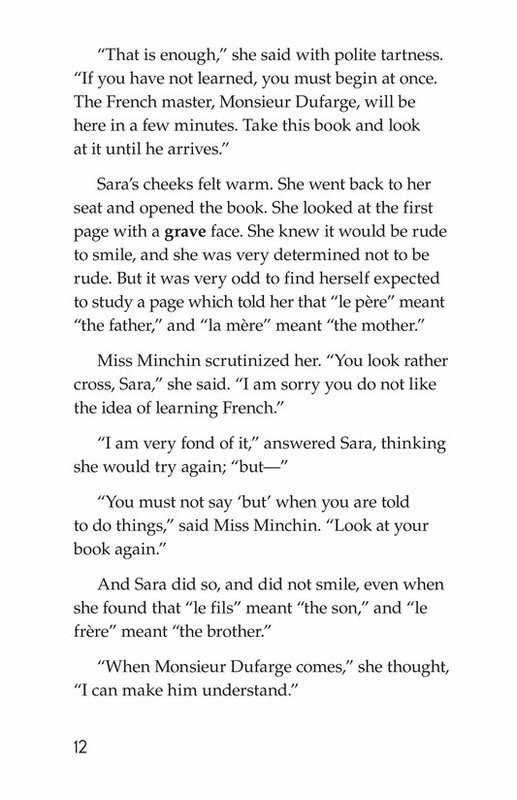 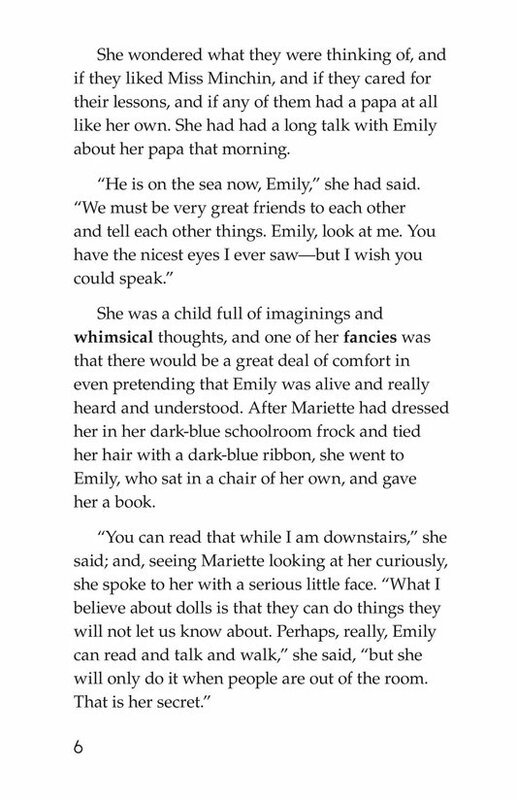 In fact, Miss Minchin begins to harbor a secret, strong dislike for Sara.